As our city reflects on the passing of former Mayor Ed Koch, I almost immediately think of steaming hot bowls of wonton noodle soup. 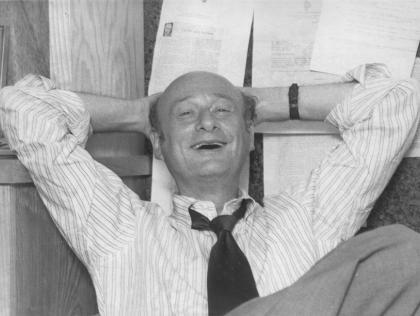 I was just a kid when Ed Koch was mayor of New York City. For someone who didn't have a clue about civic life and politics, I nevertheless saw Koch as an icon. He gave New York its attitude, its grit, and its pride. It came across in the news throughout his career and it resurfaced when I saw him several years after his third and final term eating lunch at Great NY Noodletown in Chinatown. When I think back to that Saturday afternoon, I realize it helped me to understand who Ed Koch is. He sat down with his cronies at a round table as if this was routine. Even beyond all the political discussions he was a part of throughout his career, this setting really was pretty normal. Noodletown was one of his favorite eateries in the city. What was a former mayor doing in this hole-in-the-wall, dirt-cheap Chinese noodle joint? I think the no-nonsense, gritty dive reflected Koch's own character and social preferences. Never a big fan of lavish and grand parties, Koch felt like a common New Yorker. He was someone we could identify with - whether or not you agreed with his policies. When Ed Koch walked into that crowded noodle shop, people turned and smiled. But it wasn't that pathetic stargazer look. It was a "there's my buddy" look. He was one of us.